This is my second time for Openrice food tasting event and I am very happy that they are inviting me. 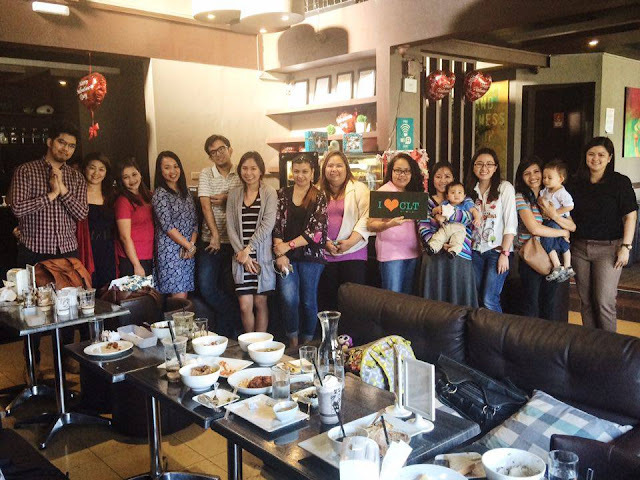 Last February 24, food bloggers are gathered to check and try Caffe La Tea's menu. I was just in time when I arrived the place. 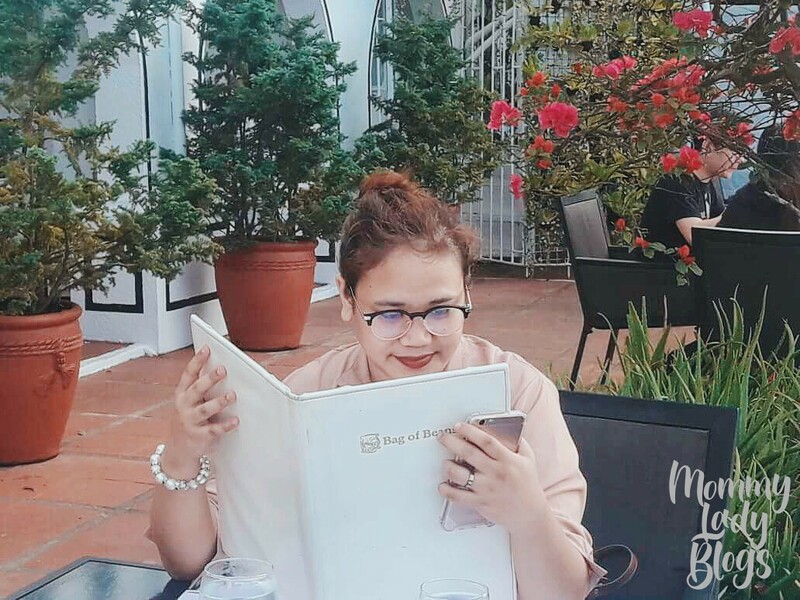 Jeremiah Santos which is called by the name of Jerro, the Marketing Consultant and Author/Blogger of Gourmanila introduced to us their menus and story behind of the cafe. Caffe La Tea was started in Cabanatuan, Nueva Ecija in July 2012. This idea came from the motivated cousin-sisters-friend group (Happy, Ermina, Ciarra, and Rona) because they want to offer the city something fresh, vibrant and original. 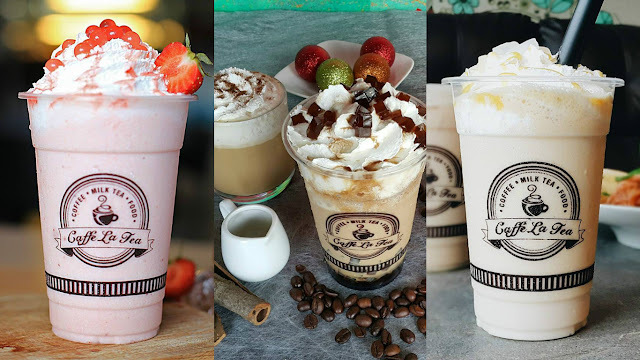 Thus, Caffé La Tea was conceptualized with the aim to provide a cozy and lively place for friends to gather and chitchat, while filling their cravings for a great cup of coffee or tea, paired with the perfect dessert. This Anonas branch was opened last September 2015 and there is another branch in Quezon City opened last October. If I'm not mistaken, there will be an opening at Cagayan de Oro, so stay tuned. 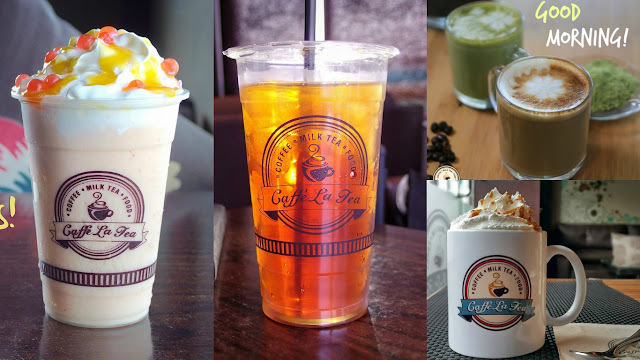 Taiwan is their source of milktea because they want it to be authentic as can be. Aside from milktea, they are also proud of their coffees which has blend of Robusta and Arabica. Bitterness with a hint of sweetness is the signature taste of their coffee. For their milk tea and coffee, the price ranges from P50-P129 (Grande 500ml) and P65-P149 (Venti 700ml). Their best seller is Harajuku which is a combination of fuzzy melon + dark cocoa + coffee jelly + secret twist. That secret twist is the popping pearl. For me, I tried their Cookies and Cream Milktea Smoothies because that's my favorite flavor. To be honest with you, I really don't like milktea. 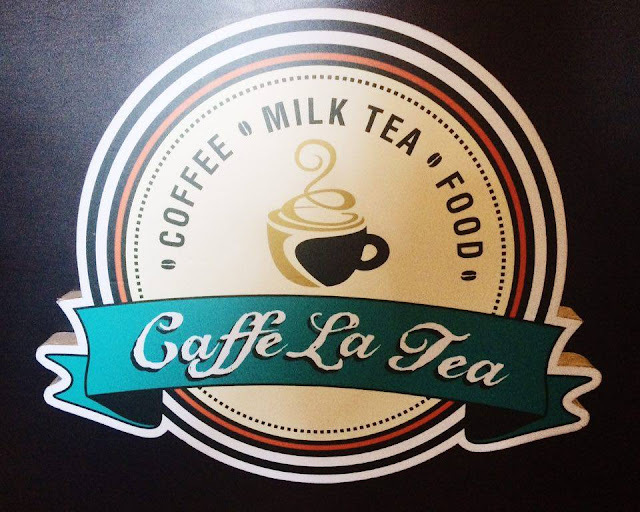 I just don't like the after taste of tea, but the Caffe La Tea milktea is different. I enjoyed it and there's no after taste. The flavor is in there, also the taste of tea but in a sweet and delightful way. Without being biased, this is the only milktea that I finished drinking. Let's talk about their foods. They have variety of food to choose from. Rice toppings, appetizers, salads, pasta, sandwiches, and pastries. Chili Bombs surprisingly is not spicy. It consist of green chili, ham and cheese with mayo garlic sauce. Mozza lava sticks has mozarella and pomodoro perfect match with marinara sauce. 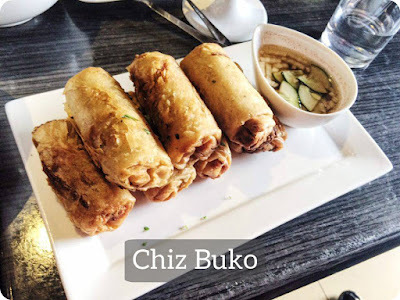 Chiz Buko is quite different from lumpia that we used to. Instead of togue and giniling, this appetizer has buco strips, vegies, ham and cheese. Cabsy means Cabanatuan and their longganisa is really a must try. I remember in Ka Tunying's Cafe, they also has Cabanatuan longganisa which they called in their menu as batutay. All of their pasta really taste good and delicious but the pasta that standout for me is Truffle Pasta. The main ingredient is wild mushroom and truffle oil. So far, this is the best pasta I tasted in my life. I mean it. So if you're going to visit this cafe, try the truffle pasta. 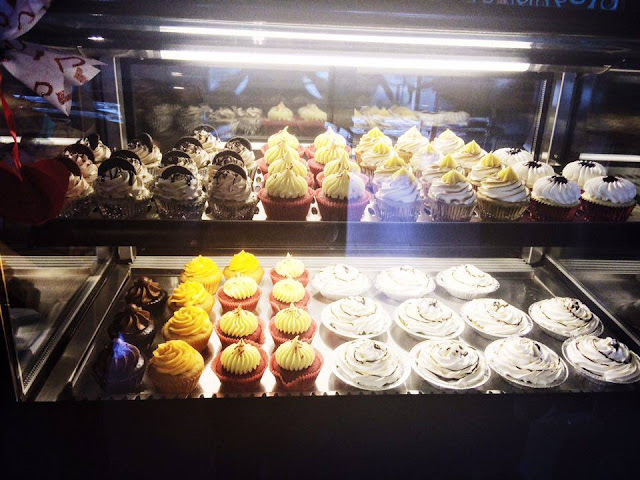 If you are not into foods and pasta, why don't you try their cupcakes. It's perfect company for milk tea and coffee. I only tasted their New York Oreo cupcake and I am already falling in love with it's flavor and moist. I'm not a cupcake lover but this cupcake is an exemption. My blogger friends told me that Bannoffee Pie is the best. One of the attendee, bought one box of it. It's really a sumptuous and wonderful feeling to dine and experience this delightful meals from Caffe La Tea. I've been recommending this to my friends and will definitely come back here. It's a cafe that provide you quality products and food in a very affordable price. 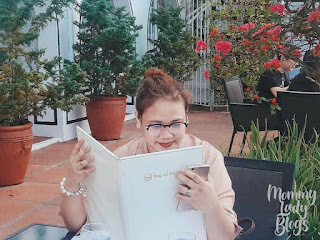 Will you believe me if I say that the most expensive food they offer cost P169? Yes it's true so you don't have to worry, it's not gonna mess your budget. Thank you again to Openrice Philippines for inviting me to this food tasting event. 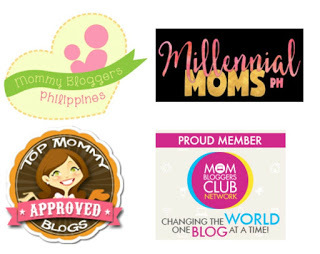 Kindly visit their website for more updated reviews of restaurant all over the Philippines. If you want to know the prices of each menu, follow me on Opensnap and download it on your mobile devices. It's absolutely free plus you can also upload your own food photos. 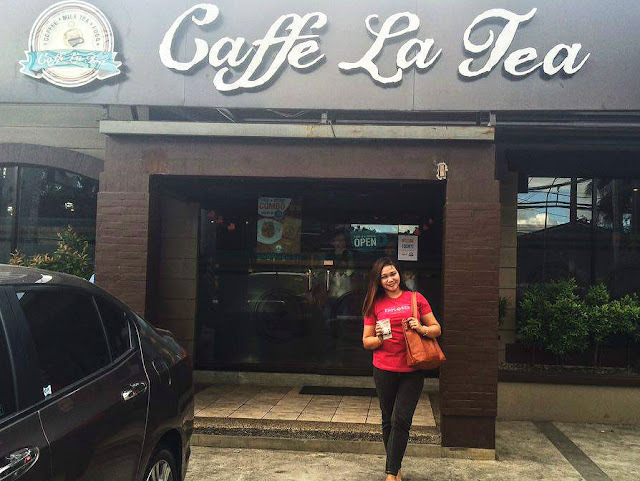 Caffe La Tea is located at 16 Congressional Ave. Bahay Toro Commonwealth Quezon City. Follow them on facebook and instagram for more info. There's a branch in Tarlac located near at the University, 2-3 minute ride. And I must say, their pastries are the best! Specially the smores and red velvet. Everything looks divine. Being an absolute fan of coffee, I will definitely check them out. Thanks for sharing. Thanks Ginoel. You can also download openrice application for more restaurant reviews. It's easy to use and absolutely free. 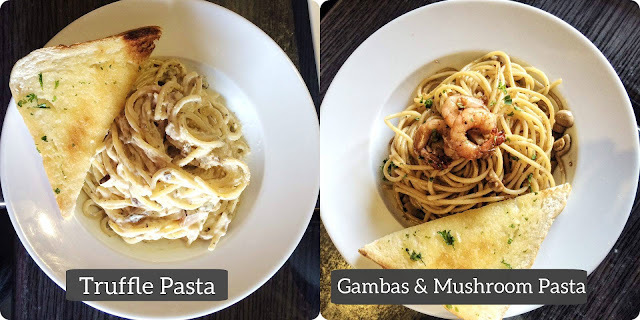 The truffle pasta and milk tea looks delicious! The truffle pasta is the best. You should try it someday. I wanna taste the Harajiku, Mozza Lava Sticks and Crispy Dinuguan. I think I'm gonna like this restaurant! Hopefully they open a branch somewhere near my place. I am hoping they can open a branch near my place too. You will be surprised with the popping pearl of Harajuku. So sad I missed this! I was suppose to go :( Huhuhuhu. This looked so yummy. 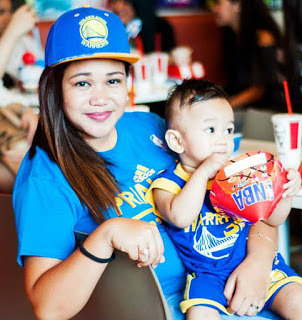 Next time, sabay naman tayo!! Sayang naman. Next time sama ka na :) Oo sabay tayo. See you in the next food tasting event. A coffee place with some yummy salty offerings? Wow! This is really a good compromise when my wife would want to go to a cafe and I am craving for some rice meals. It's also a big plus that their meals are affordable. That's a perfect match Carlo :) Their menu are really affordable plus sulit na sulit. Yes, that secret twist of Harajuku is really intriguing. I hope you visit this caffe someday with your love ones. too bad i am unable to join this eat's a date. it's a conflict of sched. some are the usual viands we eat but was served in a different way. looks so inviting! Maybe next time Aika. Hope to see you in next food tasting event. Yes, everything in their menu really taste delicious. Omyyyyyy! I'm craving for their smoothies and Mozza Lava sticks :-) Looks so goooooood hehe, I'll try to find this place whenever I'm in the area. Ang bilis nga naubos ng Mozza Lava Sticks. It taste so good especially with it's dipping marinara sauce. Well, that is the perk of being invited to events. You get to taste foods. Some you like, some you don't. Some as expected, some totally unexpected. You're right Robert. The good thing is we all enjoyed the event. Is that near Munoz Market, Congressional Avenue? It's nice that they have these savory food which will be perfect with the sweet tea. I'd love to eat there one of these days. Yes, they are quite near. 1.6 km apart, this Caffe is beside Starbucks Congressional. I hope you visit this Caffe with your children. I was invited for this but I couldn't commit because it was too far :( It would have been nice to finally meet you in person. Sayang naman Louise. Hope to see you on their next event. Yes they are very affordable compare with other Caffe. Hope you visit this place someday and enjoy their menus. Yes I am. Thanks Arriane. Their pasta is a must try. Ah we're the same, the reason why I am not a big fan of Milk tea is because of the after taste but the pictures you posted here are really tempting. Thanks bluedreamer :) I'm glad we're feeling the same with milkteas. Hope you enjoy Opensnap application. This tea house in non-traditional because they offer rice meals, haha! But I would love to try their crispy binagoongan and dinuguan. 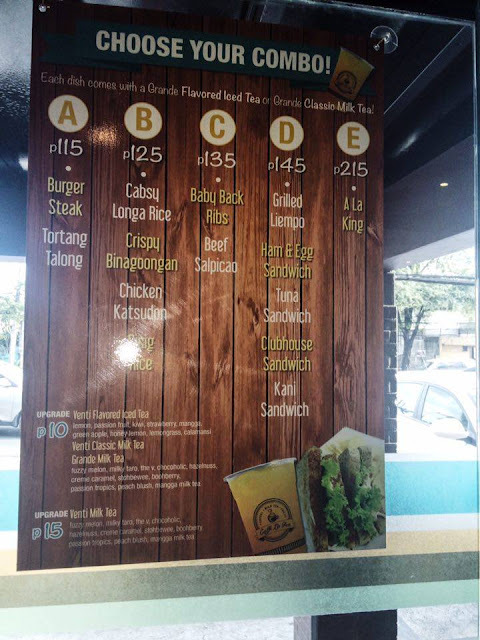 Good to hear that the resto is just at QC.